Death is a traumatic event for the people closest to the deceased. Its emotional implications are obvious, but the financial implications can be just as devastating. The deceased might have been the only breadwinner amongst his wife and three children, for instance. Or the deceased had unpaid debt, of which the payment responsibility then falls to the immediate family. Purchasing life insurance is considered by most to be a good idea. It enables you to live with the peace of mind that your loved ones will be financially stable after your death, or at the very least have a certain period of time in which they can get back on their feet. Credit life insurance is specifically life insurance that pays either a single debt or multiple specified debts upon the death of the insured party. 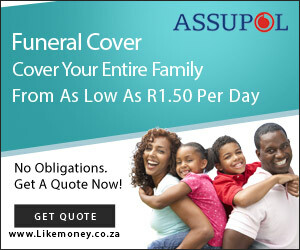 Most financial institutions in South Africa force consumers with approved loans to take out credit life insurance on the loan, to avoid non-payment upon the death of the consumer. Although it is perfectly legal for these institutions to insist upon a credit life insurance policy, the choice of the service provider is up to you. Credit life insurance should not be confused with Income Protection Insurance, as that will pay a predetermined amount of money into your bank account should you be retrenched or left disabled to the degree that you cannot to your job anymore. You get two types of Term Insurance: Fixed Term Insurance and Decreasing Term Insurance. Fixed term life insurance is not very popular anymore. 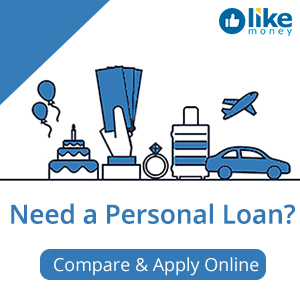 It is a policy that you purchase to cover you for a set period of time at a set monthly rate. This option is mostly replaced by whole and universal life insurance these days. Decreasing term life insurance is still quite popular. Your monthly payment decreases over time, and so does your cover. This type of life insurance is popular with large loans like bonds and vehicle HP. Whole life insurance is simply what it says. 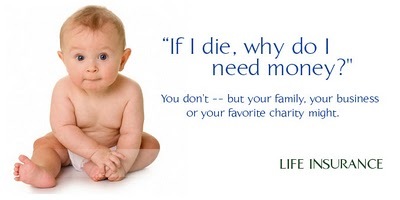 It is life insurance that you contribute to for the duration of your life. Some policies allow you to stop paying when you reach retirement age without forfeiting the policy. Whole life insurance is without profit, though and has no cash value. Universal life insurance is like whole life insurance, differing only in the fact that some of the money goes into an investment account. At some point during your lifespan the amount of money in the investment account will mirror the amount you are insured for and you will no longer have to make monthly payments. This is thus a for-profit life insurance scheme. Honestly, there is no correct or incorrect type of life insurance to go with. You need to look at your situation and weigh up the pros and cons of each one in order to fully be able to make an informed and smart decision. What is for certain, however, is that it is a risky venture to not have life insurance in place at all. There are many websites that offer free online quotation comparisons from ten or more service providers in the industry. Make the right choice and get insured. I need life insurance for myself and my wife ( quote ‘ please ) Sedrick Pieterse 750124528xxxxand Mmathapelo Euginia Pieterse 780920040xxxx…. I am in the progress of going through my parents documents. I have had to place my mom in an old age home and have taken over the running of their financial matters. 307 Amtoti, 17 Ross Street Amanzimtoti 4126.